You have a website but it does not show up on the search engines when you type in your main keywords. This is actually the biggest problem since 90% of all web surfers start browsing the internet by going to their most favorite and trusted search engine. If you are not visible in their search engine, then you simply do not exist. To figure out if this is your problem, you have to look at your website traffic statistics and look at where your current traffic is coming from. Most web hosting servers have built in stats programs like AwStats or Urchin. There are also 3rd party stats programs like Google Analytics available to help you better understand your website’s traffic. First you will need to find out what type of stats you have from your web designer or hosting company and learn to use it. This will be a huge benefit when you are trying to figure out how to increase your traffic. Pay Per Click, PPC for short, is where you pay a website for every single targeted visitor (keyword specific) the search engine sends to you. A PPC Management Company can help you with this if you’ve never setup a campaign before. 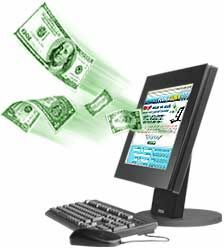 There are other great Pay Per Click systems like Yahoo and 7search. Quigo is a unique and very useful one from AOL’s stable of advertising companies. It serves ads to local newspaper sites, news station sites as well as major sites like ESPN. It can be targeted regionally, locally, state wide or nationally. This is the process of making your website search engine friendly. It involves adding continuous content, optimizing images and sometimes restructuring your urls, titles, headers, validating your website’s coding (making sure your code is error free and will not choke the spiders) and redesigning your website if necessary. A good search engine optimization company can help you find and fix problems with your website that will invite more search engines to crawl your site and index it into their data base. This is the process of increasing the amount of 3rd party websites that are linking to your website and your content. By having more 3rd party websites linking to you, they are essentially telling search engines that your website is more important and they are giving a vote for your site which will result in the search engines sending you more and more traffic since they are increasingly aware of your importance in your industry due to the high number of backlinks you are achieving. Diagnosis: You are getting poor traffic. You may be getting traffic but it might not be targeted traffic. Using your website’s stats, you can view the keywords which are being searched to get to your website from popular search engines. If the keywords are not relevant to your services / products, this is the problem. If users visit your site but leave immediately because your site isn’t what they were searching for, then your current internet marketing campaign is off topic and is not relevant. First thing to do is to eliminate keywords or content on your website that do not focus on your message or help you generate your leads. Not having a defined focus on your website means that visitors who come to your site will get confused. That’s never a good thing. Install a customized search that allows you to see the logs of what visitors are searching for on your site. I call this a Secondary Search. This is very important for determining your visitor’s mindset and why they are on your site. If you see mostly irrelevant topics on your Secondary Search then that means your current Internet Marketing Campaign is way off target and you need to fix the inbound traffic. You can do this by targeting your 3rd party link building campaigns to websites in your industry as well as sites which are relevant to your products/services. You can also make sure the content, images and other elements on your site are focused on your key message and are not off-topic. A proper SEO campaign can aid you, if you cannot figure out why the wrong people are on your site. If you are getting traffic to your site from the search engines and the traffic is targeted but are still not receiving leads, then your website’s design, layout, images or text may be to blame. This is also a significant issue. I would recommend installing a Secondary Search on your site and looking at the logs of what people are searching for when they arrive on your site. If there is a particular item they are looking for then try making that more prominent on the site. The way you can test this is to ask someone you know to find something or do the call to action on your website. First give them the url and have them speak out loud what they find confusing and problems they are having while visiting your site. The key here is for you to “NOT TO SAY A WORD”. Do not help them and do not point them in the right direction. Give them instructions only to talk out-loud but don’t let them ask you any direct questions, tell them you cannot help them in anyway. Simply watch them use your website. Don’t do this with just one person. Try and do this with 1- to 20 people, if not more. Write down notes on all the problems every one of them have, how they figured it out and comments and suggestions they might have. The outcome of this test might surprise you. What you might find easy to understand may be very difficult for other people who are not familiar with your website. Remember, most people on the internet won’t have you behind them to ask you how to do something or give you comments. So the key here is to understand how to make your call to action clear enough so people can understand what you want them to do once they’re on your site. Once you understand how people surf your website, the next step is to test your new found suggestions on your website. Google has a program called “Google Website Optimizer” located at www.google.com/websiteoptimizer. It allows you to test different layouts, texts, images, and designs using a/b split testing or multi-variant testing to find out which combination is best for increasing your leads. The first test I ever did, I found out by simply changing the first header tag on my page, it increased my leads conversions by over 6%. An additional 6% of visitors filled out the form because of me changing a simple header tag. I suggest you let your tests run for about 2 to 4 weeks. (About 2,000 to 5,000 unique visits) Then re-test the new winning elements again with newer elements. Every single time you test, you will be increasing the usability of your website and the leads you generate. A reputable Internet Marketing Company who continuously does these tests can help you even if you don’t have the time or the know-how to setup these tests. There are several other factors to consider when optimizing leads however they are not as important as the 3 mentioned above. In future articles, I will write about more detailed ways to resolve each of the 3 lead generating problems.